If one of your kitchen appliances is out of working order, our company can help. We offer in-home appliance repair throughout the Irvington area in New Jersey. As a local service provider, we can send out a qualified expert the same or next day of your call. Be it a broken fridge, range or dishwasher, you can count on the kitchen appliances repair Irvington tech to fix it for you. So don’t waste your time and book an appointment right away! 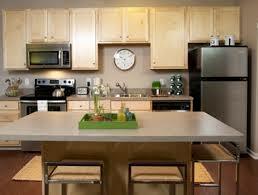 Our company also offers preventative appliance service for all types of major kitchen equipment. If you want your fridge, stove or oven to serve you longer, we know how to do it right.By checking your appliances on an annual basis, the tech will catch and address all tiny issues before they cause a major breakdown.Call us today to learn more about our services. The Irvington kitchen appliances repair experts can’t wait to assist you!